Now working for the State Department, Dr. Daniella Fridl served as the assistant research director of START. She was responsible for managing START’s research projects and exploring new avenues for research, while establishing collaborative research relationships with other institutions. Fridl came to START from the Center for International Development and Conflict Management (CIDCM) at the University of Maryland, where she directed training and education programs and was the director of the ICONS Project. Fridl also directed the center's Minor in International Development and Conflict Management, taught courses in conflict management and international development and trained federal and state governmental audiences in the areas of negotiation, conflict management and crisis leadership. Fridl's expertise is in the area of state failure, state recognition, conflict management, terrorism and international security. Her latest research focuses on ethnic conflict, recognition of sub-state entities and international security. She is a recipient of an independent research grant from the International Research Exchanges Board (IREX) sponsored by the U.S. State Department and the American Academy of Sciences fellowship for her post-doctoral work, which she completed at the International Institute for Applied Systems Analysis (IIASA) in LaxenburG, Austria. 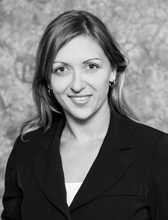 She has conducted extensive field research in Bosnia and Herzegovina, Serbia and Kosovo. Fridl teaches undergraduate and graduate level courses in the areas of international security, terrorism and counterterrorism, conflict management and international development. She teaches at Cornell University, Johns Hopkins University, New York University and University of Maryland. She is fluent in Serbo-Croatian and German. Fridl received her B.A. in political science, international relations and German from Drake University and her M.A. and Ph.D. in international relations from the Johns Hopkins School of Advanced International Studies (SAIS).